Are you looking to improve your current driveway? Perhaps it’s out dated or worn down, well it doesn’t have to be. Here at The Driveway Company our team have years of experience in installing and improving driveways throughout North West. No job is ever considered too small or too large for us so regardless of the size, budget or timescale we’re working with, our quality will never be compromised! Our team will always go above and beyond to ensure that all of your needs have been completely catered for with all of our services. So if you’re interested in having a concrete imprint driveway in Middlesbrough, look no further than The Driveway company UK! Choose us for the best quality concrete driveways, we’re here to help you and every aspect of your driveway. Why Should I Choose Concrete Imprint Driveways? We have one main aim with all of our driveway services, to achieve complete customer satisfaction every time. This isn’t just for our benefit, but it means that regardless of the project, we will always work to the best of our ability in order to achieve top results. 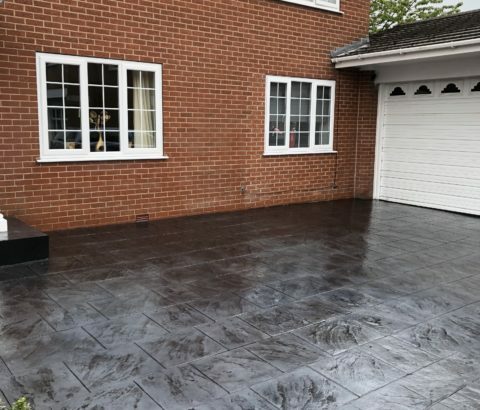 Not only that, the paving team at The Driveway Company UK only provide the highest quality concrete imprint driveways for our customers in Middlesbrough, and would never leave a concrete drive project completed that we wouldn’t be proud to put our name to. The Driveway Company UK believes there to be many reasons for you to choose us as your driveway specialists in Greater Manchester. 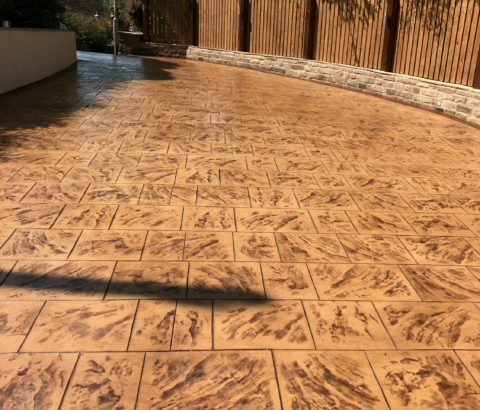 From our prices to quality, our workmanship to the results of our concrete imprint driveway installations, you’ll be amazed at just how much our team can do. 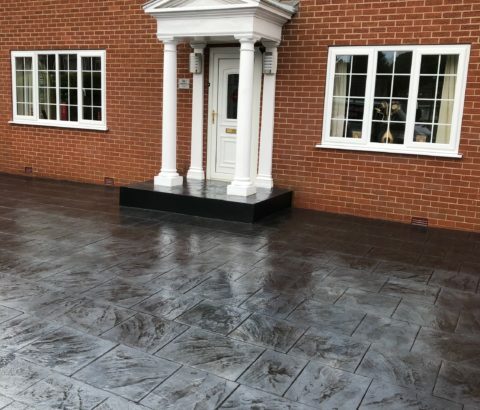 What ever style you like, we can provide a number of driveway designs, coloured concrete and create patterned concrete that meets all your requirements. – There are no weeds or moss. – It will not sink or spread. – There is a wide range of colours and patterns to choose from. The fact that it is a permanent system means that it requires virtually no maintenance. We do however advise all customers that this product will require a reseal every 3 years to protect the surface.